It’s pumpkin time!! I love going to the pumpkin patch even though I am not a kid. It’s still a lot of fun to look at all of the different sizes and shapes of pumpkins, they almost have their own little personalities! Here are a few ideas for displaying pumpkins at your house this year! All of these are really cool and require little to no traditional carving, I am definitely going to try a few! 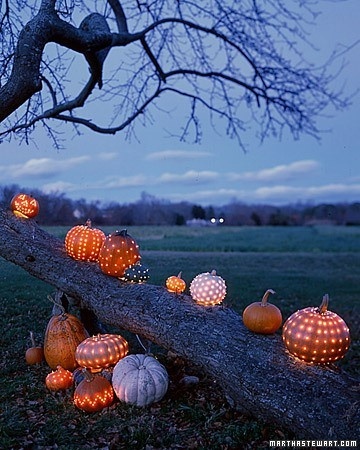 Above, is a shot from Martha Stewart a nifty little idea, drill holes in your pumpkins… check out what beautiful, twinkley lanterns they make. This would be great for an autumn party or for the walk way up to your haunted mansion. From Handmade Charlotte, a blog I love, here are some beautifully painted pumpkins elevated on cake stands, what a great, colorful idea for a centerpiece. 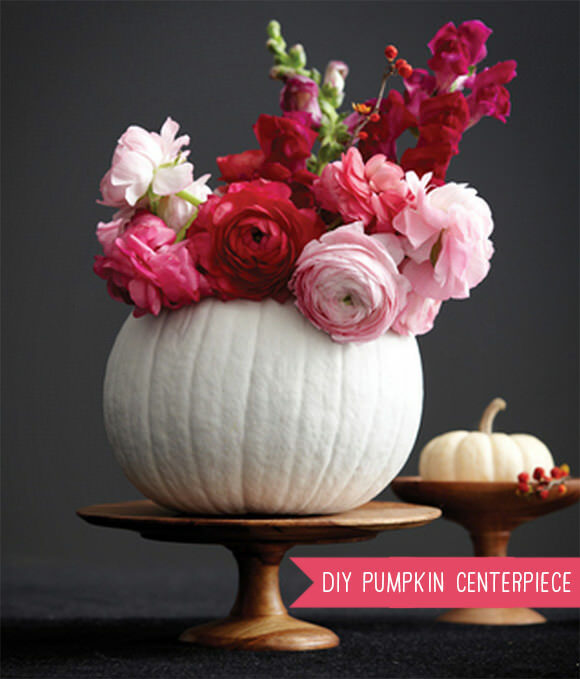 Here is a lovely pumpkin vase, really cool idea, again from Handmade Charlotte…displaying the versatility of pumpkins. 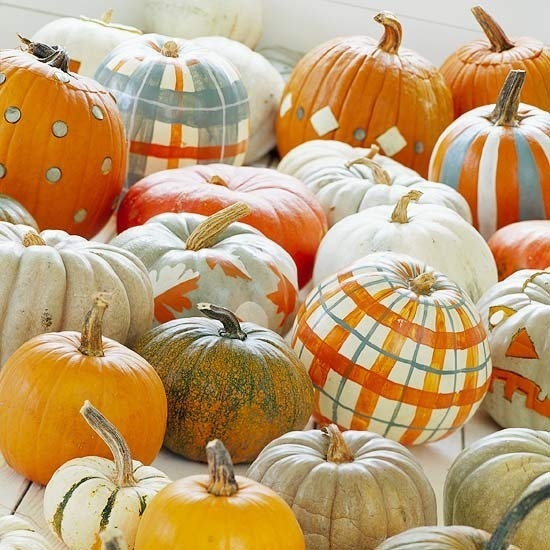 And lastly, I love these plaid painted pumpkins in a grouping with uniquely colored pumpkins! They are fun and whimsical! Hope you have fun decorating your pumpkins, even without carving!